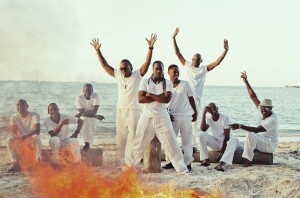 Known For Their Hit Song, “Who Let The Dogs Out”, BAHA MEN Reveal New Music and More! 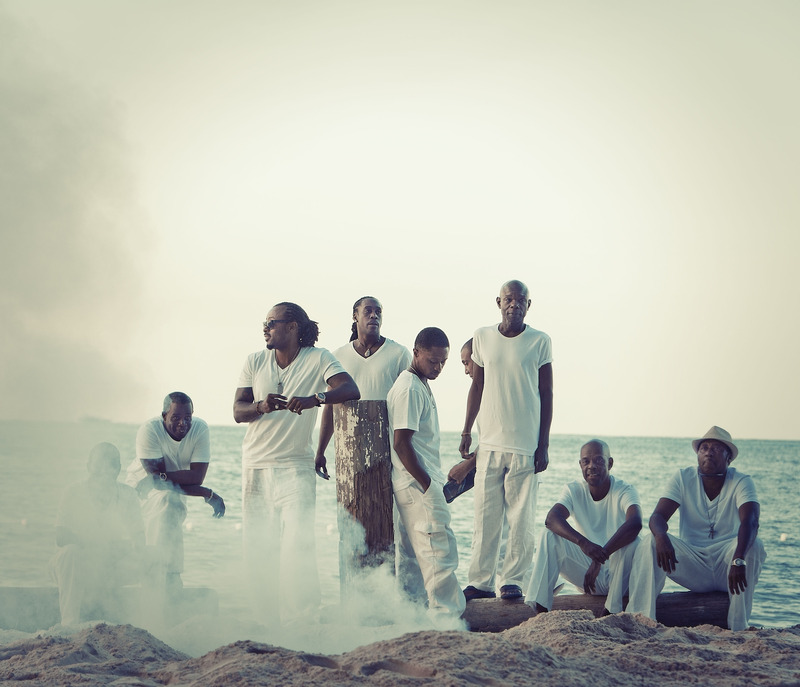 Baha Men rose to success in 2000 with the multi platinum international number one smash “Who Let The Dogs Out?”. This song earned the band several awards: a Grammy Award in 2000 for Best Dance Recording; 2 Billboard Music Award’s for World Music Artist of the Year and World Music Album of the Year. 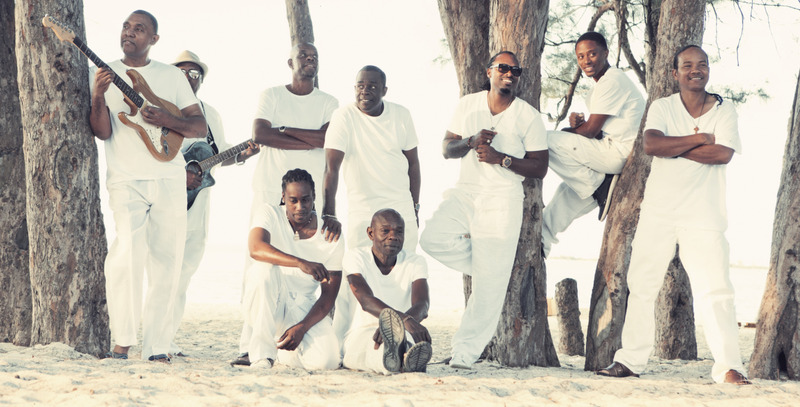 Baha Men is currently managed by veteran music industry agent, concert promoter and artist manager Doug Isaac (Meat Loaf, Missing Persons, Katt Williams, Frank Sinatra, Joe Bonamassa, Kevin Hart etc.). This February, the band will finally be releasing new material via Sony Music. 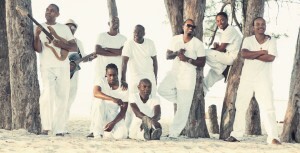 The album is entitled Ride With Me and it’s an infectious blend of world music, Junkanoo, and pop. Do you guys remember the moment you decided to start this band? Rik Carey: Yea…..I also remember when the Jerry Curl was the ish…..kidding….way before my time, when the group was called “High Voltage” back in the 70’s, both my parents were former vocalists in this “revamped” group. I was told from other members of the band that I was literally born into the music business. 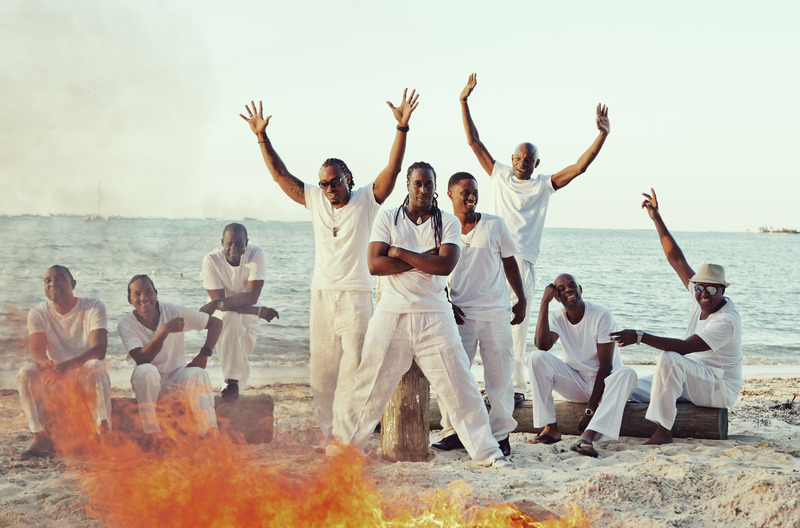 Anyways, the name was changed to BahaMen (men from the Bahamas) when we got our 1st record deal and we discovered that there were other bands with the same name. What was the inspiration for your 2000 hit single, “Who Let The Dogs Out”? Men and Women throwing insults at each other at a party. It’s a friendly battle of the sexes. The person who can answer this best is actually the writer, Anslem Douglas. How has being from The Bahamas influenced your music? 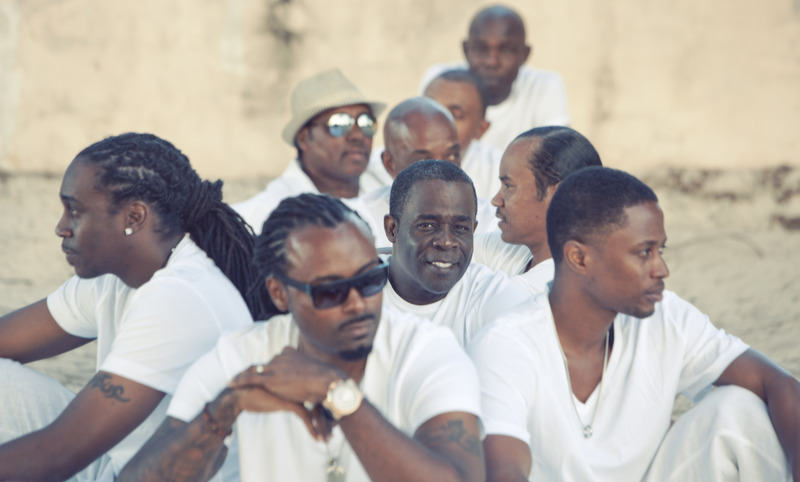 Rik Carey: We have a very unique sound and culture unlike nowhere else in the world, so BahaMen’s sound has always been a fusion of “Junkanoo” and “Goombay” rhythms and Pop music. The lyrical content in a lot of our music has been about our Island Lifestyle but we try to use as much general content as possible so we can reach to as many people young and old as possible. To me it’s all about touching people’s minds and hearts through the spirit of the great Music that we continue to create. Do you still perform in the style of Junkanoo music these days? Can you describe the style to those of us that have never heard it before? Rik Carey: The rhythm of Junkanoo music is pulsating, energetic and invigorating, and Is one of the most rawest and purest forms of rhythms out there. For Junkanoo, the instruments are as follows: various sizes of Goat Skinned drums, Cowbells, Whistles, Horns. For the Rake’n’scrape sound it’s all about the Saws, goat skinned drums and the constantine or the accordion. But we as musicians play a different kind of pattern on the modernized instruments that accompanies these structures. Every Caribbean nation has a unique sound and Junkanoo, Goombay and Rake’n’Scrape is Bahamian, so it’s only natural that we as musicians implement those in our records for the entire World to hear. With 9 members in the group, what’s it like writing music together? What about touring together? Rik Carey: It’s been great. For the most part it has been a joint effort between myself, Dyson, Leroy and/or the producer’s writers. We, I along with Dyson have always been individual song writers/producers so that and being surrounded by some of the best friggin musicians on this part of the region only helps to push the Brand BahaMen even further. To me, Touring is always a double edged sword because the hardest part is being away from my family for long periods of time, being able to find a decent beer in comparison to “Kalik” the best beer in the world hint-hint, and missing my comfort food “Cracked Conch.” Then there’s the flip side…. I LOVE to be on the stage, making music and seeing the reaction when performing them everywhere and I like to travel, so living life out of a suitcase for several weeks sometimes months is just a part of the criteria. These days, how are you guys keeping busy? What’s a typical day like? Rik Carey: We have been preparing our new live show and getting ready to promote our new single that was released on the December 29th titled “Night and Day” and also our upcoming EP Ride with me. We also had released a Christmas medley, titled “The Little Drummer Boy/Silver Bells” for the Holidays. So we have been quite busy. Since we just celebrated Christmas, let’s talk about you Christmas release, “Little Drummer Boy/Silver Bells Christmas Medley”. Why did you guys decide to put out a holiday song? Rik Carey: Well, let’s just say this is something that most of the band has always wanted to do but never got the opportunity to do. It’s one of those things where just about every artist does a cover or an original for the Christmas holiday season, but we and our management both agreed that time waits for no one and we are not getting any younger so….We definitely went all out with this and shout out to Troy Remi @blackshadowmusicgroup for producing it for us. In my opinion these are some of the things that make recording artists and musicians eternal. Plus, doing a medley comprised in the space of a little under 4 minutes is rare this day in music. What can fans expect from your forthcoming album, RideWith Me out in February? Rik Carey: I am f$&@$& ecstatic about this album because to me, this is the best project that we have ever done and I really can’t wait to see and hear the reaction of our fans who have been waiting ever so patiently. For that I apologize on behalf of the band, it’s been a long, looooong road with good moments and not so good moments, but we stayed the course and never stopped working on the music and now is The Baha Men’s time show the world what we are put on this earth to do. No stopping anytime soon! What are some of your favorite songs on this album? Living or dead, who would you all like to work with and why? Rik Carey: I’ll work with anybody that can only help to push us higher as a unit first and secondly me as an artist. I’m an eclectic type of artist/producer and can’t really be “boxed in” so I’m always listening to a ton of different artists from the old school to the new comers, but because I’m a producer as well I still have a lot of admiration for the music done by music legends like Quincy Jones straight up to Timbaland. When you aren’t performing or writing new material, what do you all like to do for fun? Rik Carey: I wear many different hats, another one of my talents is that I am also a visual artist so I definitely enjoy painting, hanging out with my wife and 2 Boys of 6 and 14 years old, early morning coastal Jogs, a really good series on Netflix and exercising. What do you want new listeners to take away from your music? Rik Carey: I want for the new listeners to understand and feel our music, to be inspired and moved by this new sound that we bring from my home the Bahamas to the world. It’s a huge part of who we are as a people and we want to share that with all of our fans.